If you want to work at night in daylight condition, find your own brightest flashlight now! When it comes to a flashlight, of course, you want the brightest. Right? 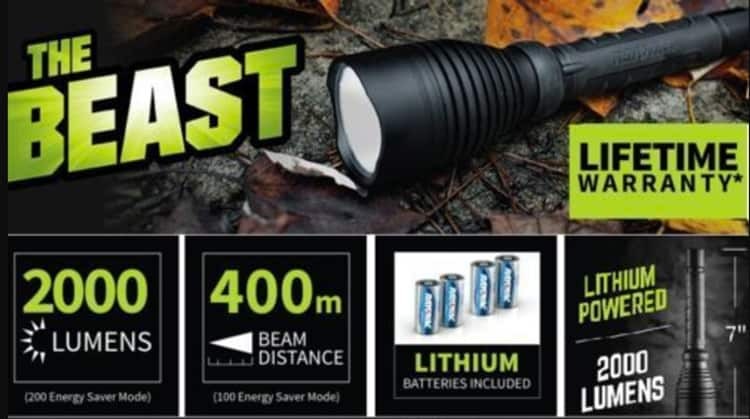 But the best brightest flashlight is not only the brightest but also the most desirable quality regarding battery type, materials, light source, and duration. How Can You Know this Flashlight is The Brightest? Most of the flashlights are rated using the ANSI FL1 flashlight testing standards. There are three different ways to measure the light source under this measurement, which are Light Output (Lumen), Beam Distance (Meter) and Peak Beam (Candela). Each method has its unique characteristic. The Light Output measurement, also known as the lumen method calculations, is based on fundamental lighting analysis. Beam distance is the range from the flashlight where the amount of luminous flux per unit area is equivalent to a full moon on a clear night. In the Beam Distance method, we measure the brightness of the full moon on a clear night in meters which known as the distance a beam will travel before it reaches 0.25 lux. 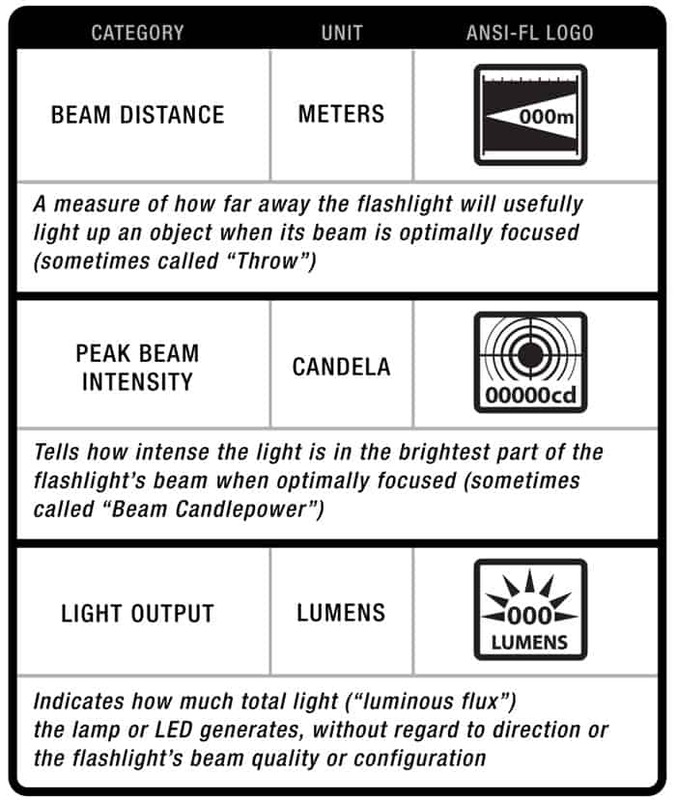 Peak Beam Intensity is candela measurement, the measurement of energy, which can indicate the brightest point of the beam by measuring the luminous intensity in the center of the flashlight beam. The overall Light Output method of Lumens uses in determining the brightest flashlight. Depending on the angle and size of the reflector that utilizes in each torch, the light using the Beam Distance or the Peak Beam Intensity may vastly change. 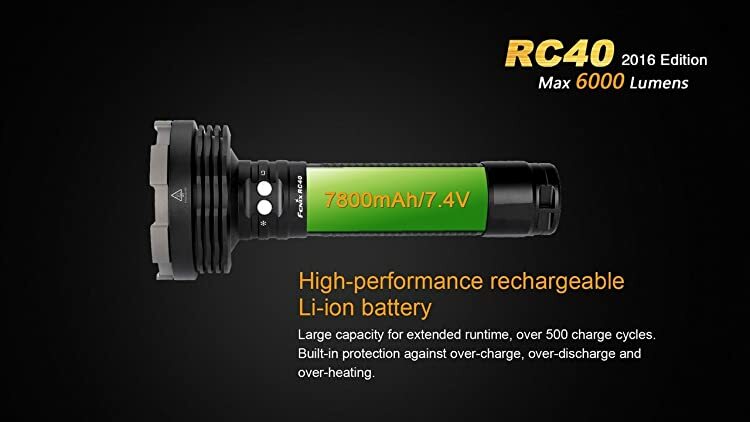 Since the lumens is a straightforward level of the overall light output, the flashlight has the most Lumens will not inevitably be the flashlight that will illuminate the greatest distance but the widest range. Last but not least, the FL1 standards evaluate the light beams output amount from the front of the flashlight, not the theoretical max that comes out of the LED emitter. If you want the brightest flashlight, performance is a definite factor you need to take into consideration. As has been mentioned above, the light output of flashlight is measured with the term lumen. However, the lumen is not the only one measurement. If you focus only on the lumen when buying a flashlight, you are limiting yourself. There is other factors crucial factor that made a good flashlight such as the range, the distance, and the spectrum of the light. Flashlights, in general, use some different kinds of lights. However, the most common flashlights at present are LED emitters since incandescent lights, which use a metal filament to heat up and produces light are not as bright and durable as the super bright LED emitters flashlights. 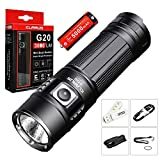 Moreover, none of above six flashlights are HID (High Intensity Discharge) as the price of this type of flashlight is quite high, which is usually at least $300. The technology of HID lights is far different from LED lights: their bulbs have gas trapped in a quartz capsule, which lights up whenever electricity passes through it. 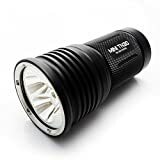 A quality EDC (Every Day Carry) or Compact flashlight has many useful features such as manageable size, a long-lasting LED bulb, a robust housing, ability to recharge, multiple modes, water and shock resistance, momentary beam and beam adjustment. It is quite small in size and price. However, the compact and convenient design may restrict its light range, brightness, and battery duration. The brightest flashlight offers you full range and consistency source of light to work in the dark without disruption. Thanks to the innovation in technology and electric power industry, flashlights today can do a whole lot more than we might expect. 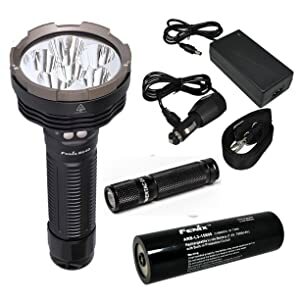 However, choosing the right flashlight may be a bit overwhelming whether you are good at household tools or not due to the products variety and the lack of information. 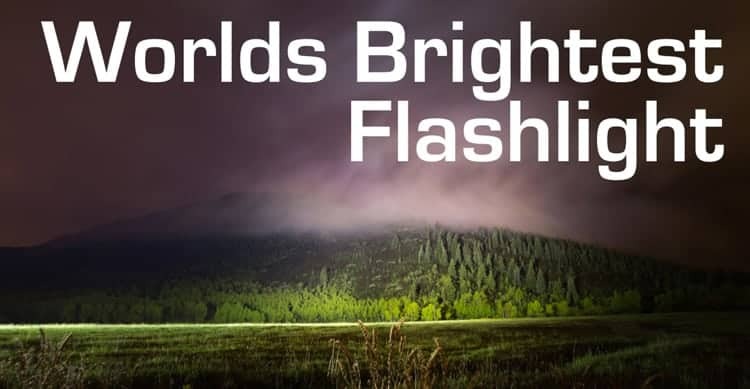 That’s why we shortlisted the 6 best brightest flashlights for you to consider. Solaray Pro ZX-1 is a superpower LED tactical flashlight which can meet all your needs since the design belongs to an American seller. He knew all his customers’ insight regardless security, walking, camping, hiking, fishing, hunting, spotlight, working or home use. 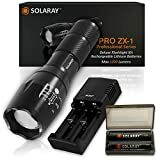 The Solaray Pro ZX-1 flashlight using Ultra Bright X-L T6 Cree LED chip made of silicon carbide to optimize the light at any time. As mentioned in the name, this flashlight using Solaray Propriety Technology performs on lithium-ion batteries which integrate the superior energy efficiency and a high-output device that give this flashlight the extremely brightness. It designs with excellent self-defense cover including available disrupter mode. Flexible lenses not only provide you with bright light coverage but also allow you to pinpoint a particular subject. The lithium-ion batteries source can be charged using the Cordless Lithium-Ion Rapid Battery Charger. If you are searching for a flexible flashlight, the Rayovac RWP123A-B may suit you best. 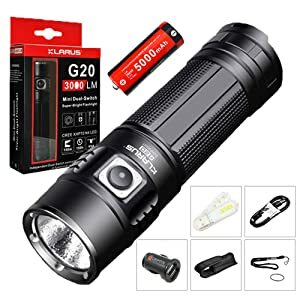 Due to dual-LED technology, this flashlight offers you five light modes which the brightest up to 2000 lumens and the lowest light of 530 lumens. The spotlight function is improved thanks to the frosted lens. Made of Aircraft-grade aluminum, the hard protective housing is particularly durable, that allows you to take this flashlight to anywhere. This flashlight provides you with more of a flood light than a centered one so that you need to consider the usage condition before purchasing. 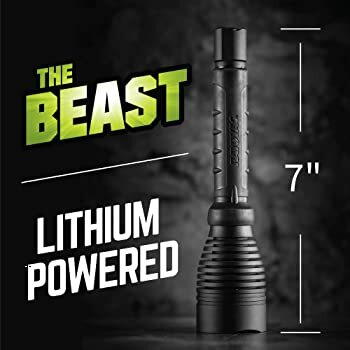 The Rayovac RWP123A-B flashlight offers the maximum powers that may equivalent to a car headlight or light that travels over a ¼ mile due to the lithium batteries. The output is up to 3000 lumens. Both One-Touch Turbo and the One-Touch Low mode are accessible by using the side and tail Switch. You can access the One-Touch Turbo by Side and Tail Switch and access the One-Touch Low mode by Tail Switch. With the max runtime up to 150 hours, this flashlight will not let you down. The power button on the side may be disappointed as it is too easily activates and automatically turned on sometime. This flashlight can be recharged incredibly fast thanks to the Integrated Micro-USB charging port with up to 2000 mA charging current (when used with KLARUS 2A adapter cord). The ITS temperature control system ensures safe performing and prevents the LED circuit and internal circuit from overheating condition. The Intelligent Battery Capacity shows you the remaining power levels. Design in slim shape, this flashlight is quite easy to hold or carry away. This lumen brightest flashlight integrates three advanced XM-L2 U2 LEDs with a lifespan of more than 20 years. This torch’s LED technology is indeed an outstanding innovation since its lumens could reach up to 7300. 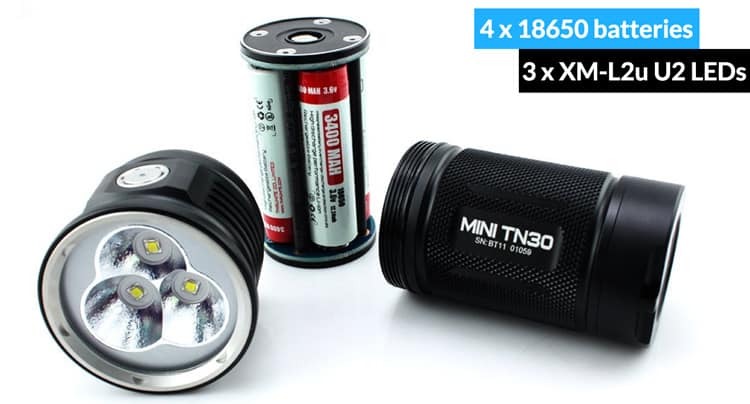 ThruNite MINI TN30 offers multiple light modes, which are the firefly, low, medium, high, turbo and strobe level. The maximum output using the four 18650 batteries could be up to 3200 lumens. As the “mini” word is in the title, some buyers may think its light is smaller compared to other flashlights of this class. However, this torch’s size is the same as the ThruNite TN36. 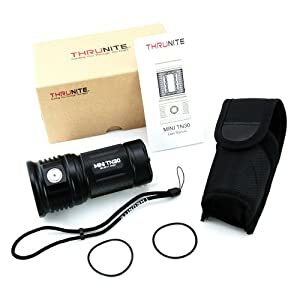 The ThruNite torch may be the most applicable flashlight since it is adaptable in many cases such as EDC (Everyday Carry), security, emergency, medical services, camping, duty light, and self-defense. The compact body size is likely to a 330ml Coca-Cola that easy to carry. ThruNite MINI TN30 prevents the housing hold from overheating thanks to the ITC (Intelligent Temperature Control) technology and advanced electronic metal switch. With an ultra-long maximum beam of 2395 feet (730 meters) in length, this Fenix RC40 2016 Edt- 6000 Lumens is the most appropriate for your outdoors adventures. 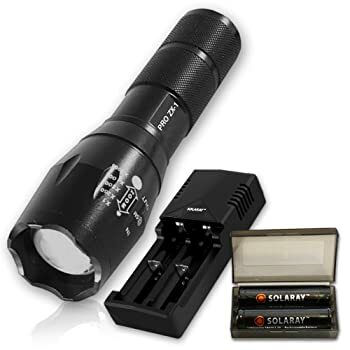 This flashlight offers you five output modes, Strobe, and SOS, which is easy to control by the dual side switch. The RAPID SCAN BEAM of this flashlight, which is 90-degre, is perfect for maximum close-range coverage and ensures to meet your vision field. Compared to other flashlights, the price of Fenix RC40 2016 Rechargeable LED Flashlight is quite high. The weight is also quite heavy and not suitable to carry away. 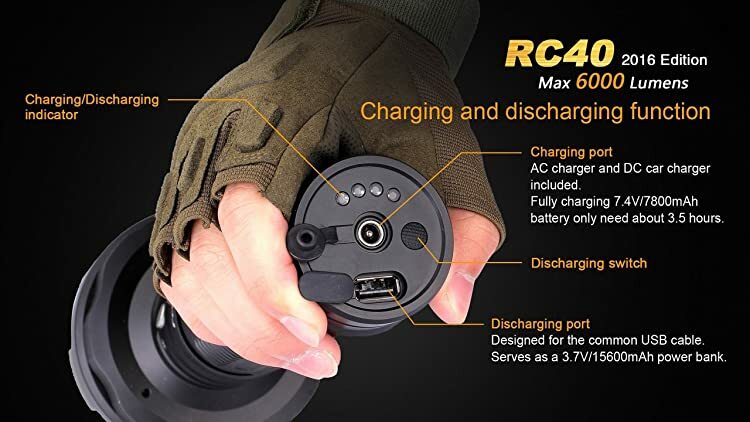 The tailored rechargeable Li-ion battery pack, as well as the charging and discharging port, included a protective circuit optimizes charging function of the battery source. This RC40 2016 flashlight is more adaptable in individual cases such as searching, rescuing, farming, and hunting. 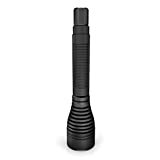 The Streamlight 88060 ProTac High Lumen using IPX7 rated design, which integrates solid grip rubber sleeve. This Streamlight is brilliant due to the C4 LED technology. Especially, the waterproof housing hold allows this flashlight’s duration last long in 1-meter water condition for 30 minutes. You can easily choose one of three different programs using the TEN-TAP programmable switch. The High Lumen 4 Streamlight is much bigger than the High Lumen 3 Streamlight, which makes it is harder to fit in most pockets. This flashlight can run on both 8650 Li-Ion batteries and 3-volt lithium CR123A (supplied) batteries. With this Streamlight 88060 ProTac High Lumen 4 Lithium Power Flashlight, you can quickly light up a large area for a fair distance. As the cost is a middle range, you can easy to afford a Streamlight 88060 ProTac High Lumen. Just because it is the best brightest flashlight ever does not mean that it is the flashlight that suits you most. To satisfy yourself and meet all your needs, you must know what you need and usage situation before buying any products. When taking a flashlight into consideration, the first thing you need to define is in which condition you are going use this light. From there, you should consider the brightness, types of batteries and charger, safety, durability, design, and price. Remember to think twice before purchasing any flashlight.